From the 19th to 20th century, skiing underwent great changes as it rose in popularity—as did the advertisements and art of the sport, which have since become collectors' itemsImmigrant Scandinavian gold miners chasing the Gold Rush mid-19th century introduced skiing to the United States. By the turn of the 20th century, skiing had emerged from its utilitarian origins to become a fashionable sport in both Europe and North America, and a wave of new, stylish resorts emerged. By the 1930s, skiing was by far the most popular winter pastime for the rich and famous—combining adventure, fashion, and exclusivity. The graphic art of the posters advertising this burgeoning sport have become collectors' items. 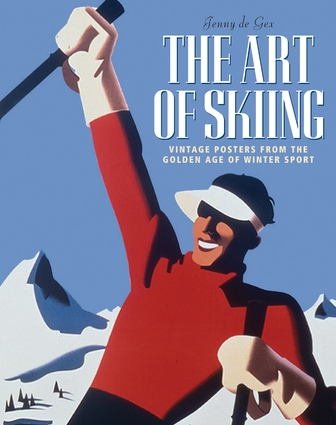 The Art of Skiing is a beautiful collection of the finest examples of poster art. Organized by country and resort, it uses posters from the Beekley Collection—the largest private collection of ski art in the world—to reflect the changing trends in skiing fashion and technique, and investigates the most popular resorts, their establishment, and their development. Jenny De Gex has brought her expertise as a visual interpreter to more than 100 books, on subjects from 17th century food to modern travel and interior design.